Inspired by some of Botswana’s hottest artists and tunes right now; AFSTEREO Botswana has released its inaugural annual CD compilation of 10 of the top songs on Botswana radio in 2016. 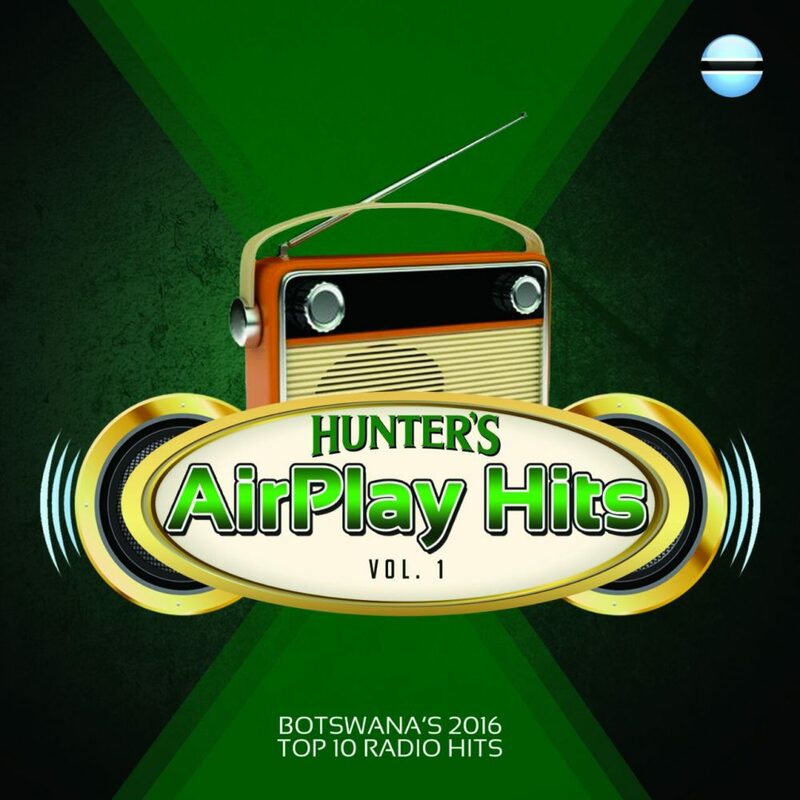 The debut blueprint dubbed “Hunter’s AirPlay Hits Volume 1” is simply a collection of 10 songs that dominated the Botswana airwaves during the entire year of 2016. 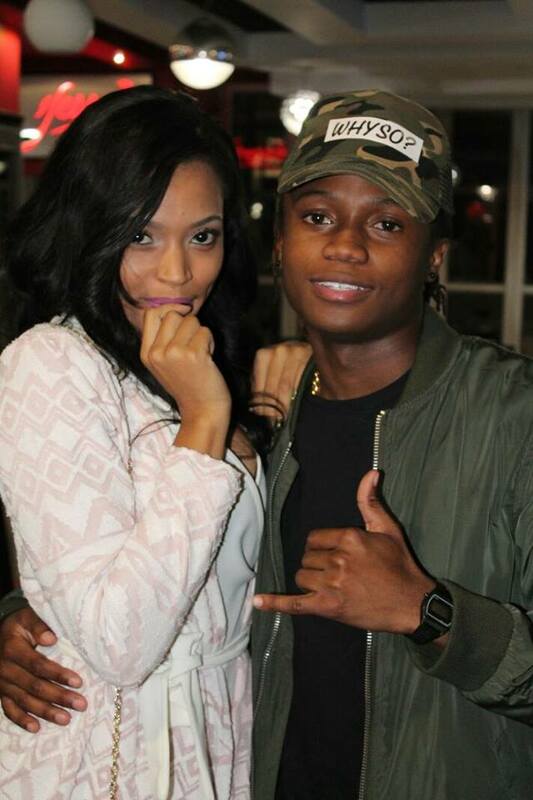 Amantle Brown’s Black Mampatile was the most play listed song on all the five Botswana Radio Stations in 2016. Making up the coveted 10 hit songs list are: Black Mampatile by Amantle Brown; Changes by Team Distant featuring Han-C; Sedi Laaka by Chrispin The Drummer & Team Distant Featuring Han-C; Our Golden Year by DJ Izzy featuring Amantle Brown, BanT, DramaBoi, Sasa Klaas & Han-C; Moengele by DJ NT Base, Ditlo Boa by Samba T & Q.bio; Naomi by Ban T, Love’s Light by Mpho Sebina, Motho O Blaa Motho by Juju Boy and Heartbeat by German Dollar featuring Sasa Klaas. 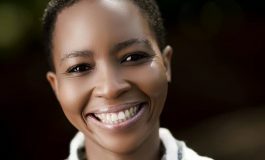 The songs were selected from AFSTEREO’s AirPlay Music Chart for the entire year, which showed that Amantle Brown’s Black Mampatile was the most play listed song on all the five Botswana Radio Stations in 2016. AFSTEREO Botswana is the leading supplier of real-time radio and television advertising and music insights to the media, marketing, research, auditing, regulatory and music industries in Botswana. 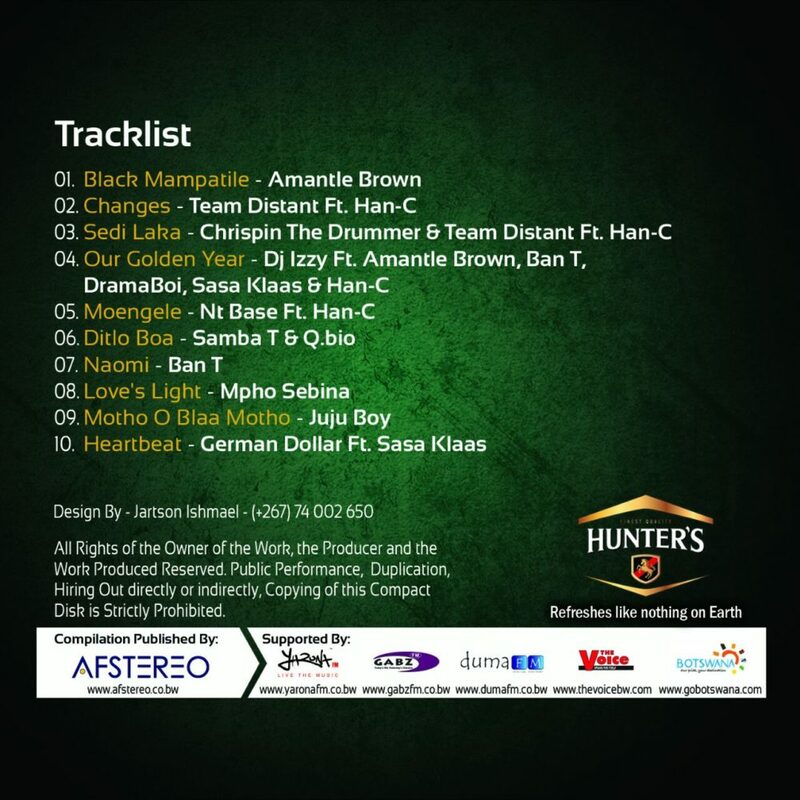 The company’s Managing Director David Moepeng says the Hunter’s AirPlay Hits CD compilation is another initiative by the company; produced in partnership with Hunter’s to use its musical insights to promote local music. He noted that they plan to release a compilation CD every year with Volume 2 already scheduled for release in December 2017. Moepeng added that another initiative that AFSTEREO Botswana embarked on in the year 2016 was the introduction of a series of music events dubbed Hunter’s AirPlay Hitmakers in which the line-up was made up of the Top 10 local artists in the AirPlay Music Charts over a period of four months. 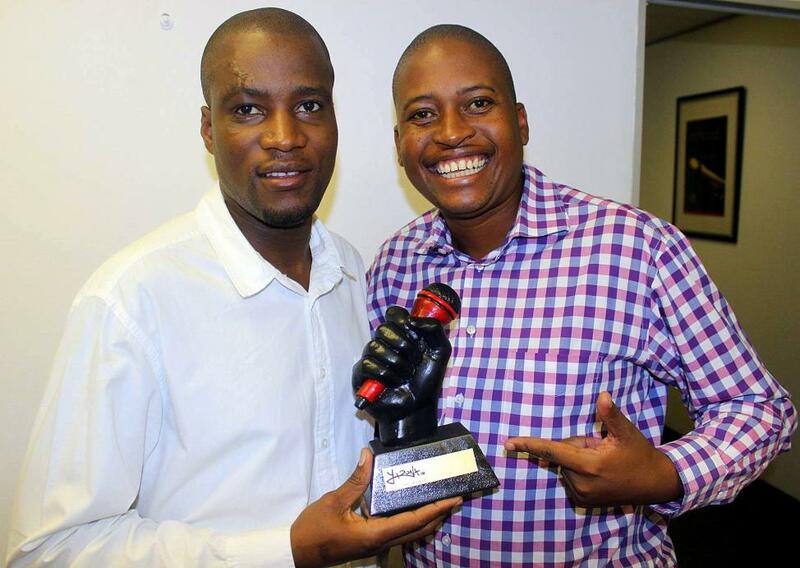 David Moepeng (L) with former controversial Yarona FM presenter, Luzboy. 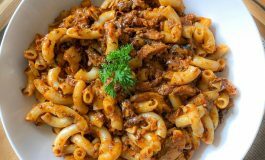 The first event was held at Chez Nicolas at iTowers in the Gaborone CBD. According to Moepeng, follow up events are scheduled to take place within every quarter of 2017 in different towns and major villages around the country. Moepeng noted that AFSTEREO’s initiatives come on the back of a realization of a rapidly growing interest on local music by Batswana, with radio stations predominantly driving the trend. 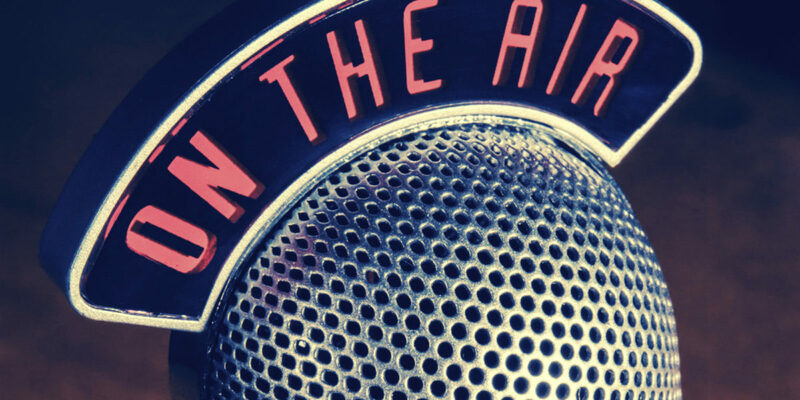 “Radio music airplay in 2016 was made up of 48% Botswana songs. This is a huge achievement considering that Botswana’s music industry is still relatively small, although fast growing,” says Moepeng. “48% basically means that there is almost an equal number of songs radio stations played between local and foreign music,” he added. 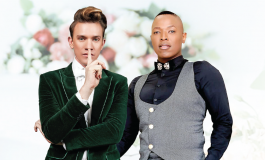 Moepeng added that they expect local music airplay to grow above 50% in 2017 as the music and broadcasting industries get motivated to do more through their exposure to AFSTEREO’s music insights and initiatives such as the weekly AirPlay Music Charts, CD compilation and Hitmakers’ events. 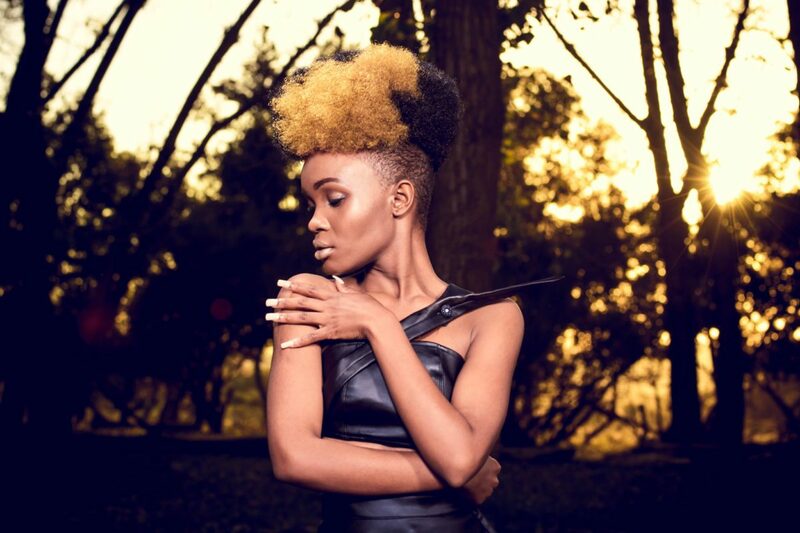 “We will see competition grow amongst our artists to produce music that will top the Charts and this will give Radio Stations more hits to play,” added Moepeng. He said the Hunter’s AirPlay Hitmakers CD is available at all Urban Soul Stores in Gaborone and Francistown and Street Horn Music Café at Molapo Crossing Shopping Mall. 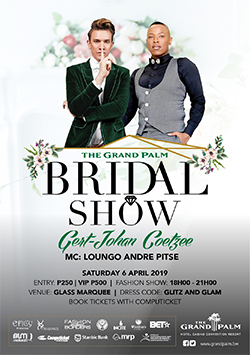 The project was also supported by Duma FM, Gabz FM, Yarona FM, The Voice and Brand Botswana.